The boys are area champs and the girls placed 5th overall- Lion Pride!! Brenden Gilbreath placed 2nd in Current Issues & Events at regionals and is heading to state!! Jenna Orsak placed 3rd in Literary Criticism at regionals and is heading to state!! Julie Korenek placed 2nd in Ready Writing at regionals and is heading to state!! The girls golf team placed 2nd at district and will be advancing to regionals! The boys golf team placed 2nd at district and will be advancing to regionals! The JH boys are district champs and the girls placed 2nd overall. Lion Pride!! 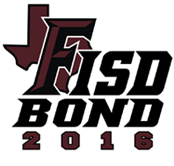 Fayetteville ISD is a K-12 Texas public school district located between Houston and Austin just off of Hwy 71. With a student population under 250, our district is dedicated to providing a high quality education while promoting the values and heritage of our great community.